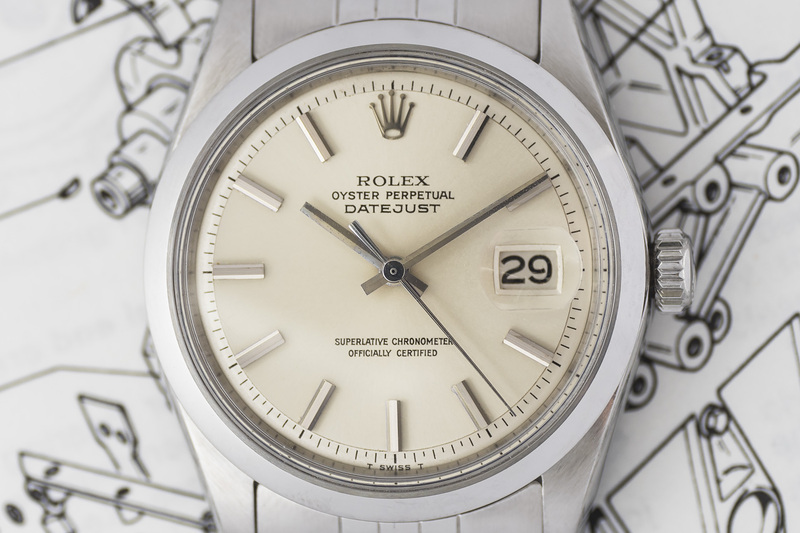 Here’s another Rolex Datejust with a 1600 reference, and despite it being 48 years old, the watch is in a ‘as good as new’ condition! 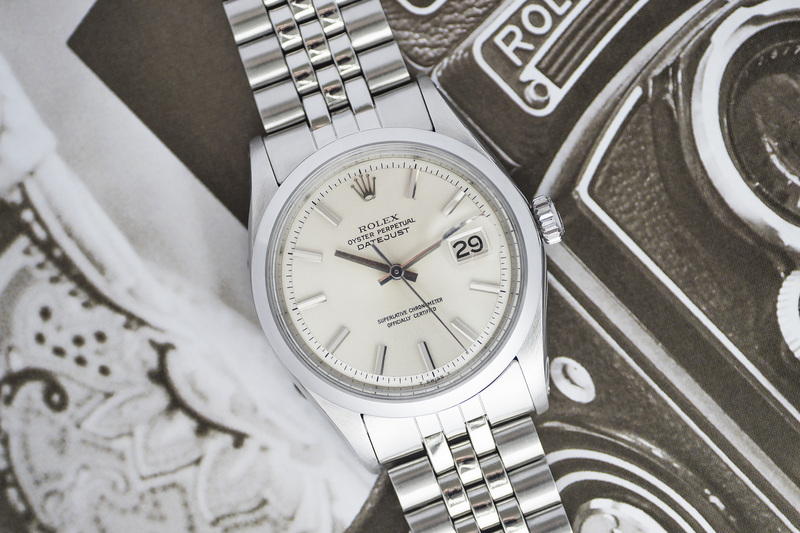 This Rolex Datejust has a 2 mil. 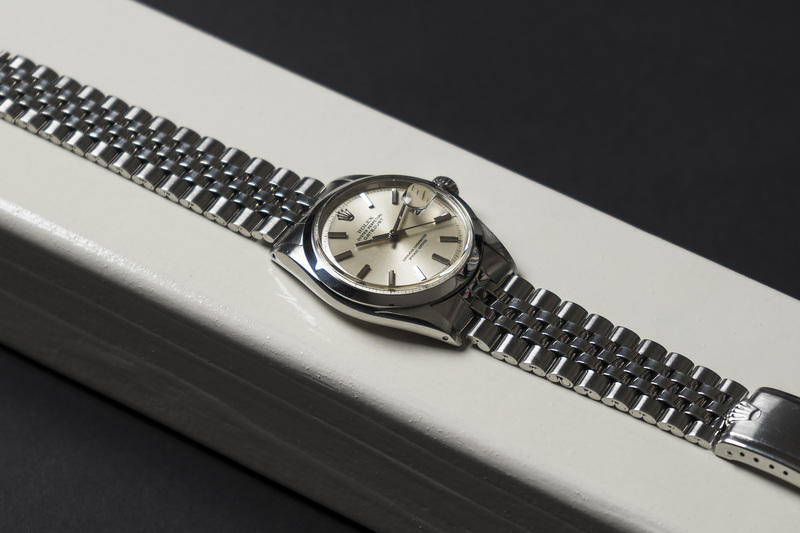 Serial dating the watch back to 1970 as its year of production, and it looks like nothing much has changed since then. The spotless creamy champagne dial is simply stunning! slightly changing its color tone when day and/or sunlight hits it – really a true delight. 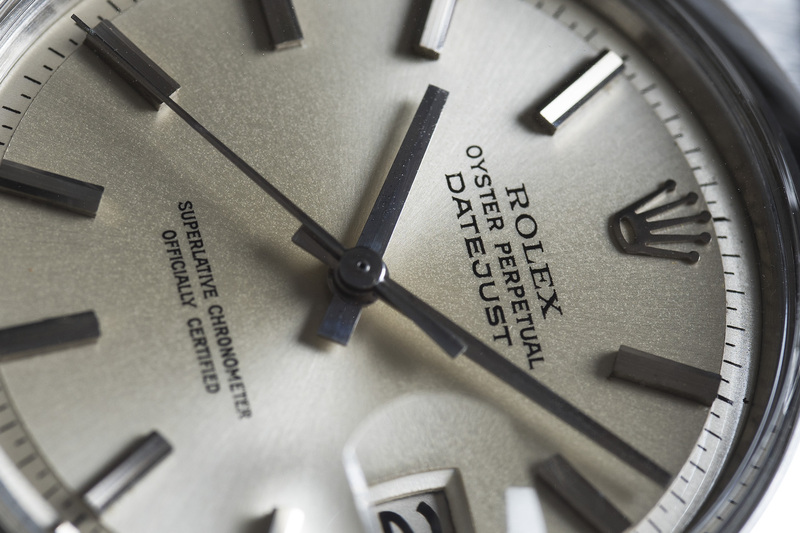 The pie-pan dial is a so-called ‘No Lume’ dial, meaning that no Tritium is present at the end of the hour-markers and on the minute and hour hand making this a more rare Datejust with a truly unique look. The fat stick hour-markers have a beautiful finish, combining a brushed and high polished techique along with a facet cut, to reflect light to the maximum, making the entire dial come to life when its on your wrist. Through the date window at the three o’clock position one can see the original date-wheel with its beautiful serif font numbers – all six and nine numbers on the date-wheel are the so-called ‘open’ sixes and nines. 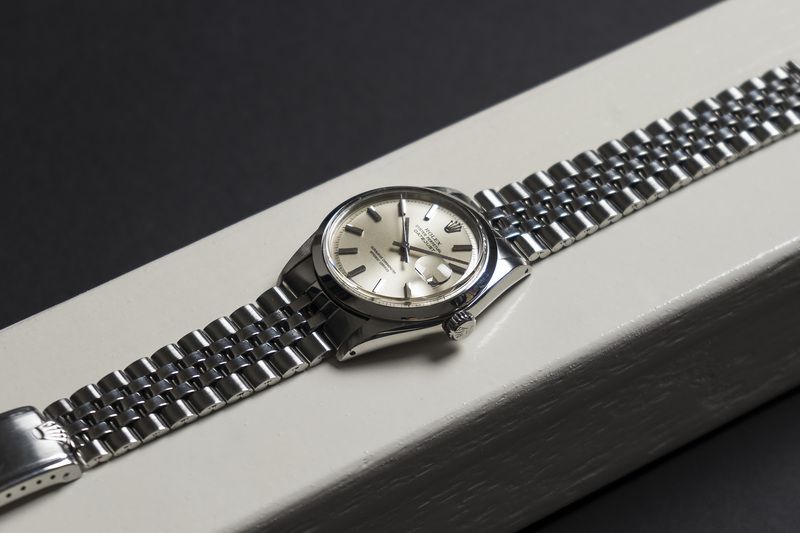 The 6251H folded Jubilee bracelet has a claspcode with a production stamp that tells us it was manufactured in April of 1970. The 55 end-links to the bracelet show small signs of wear on the left and right but still fits prefect between the lugs. 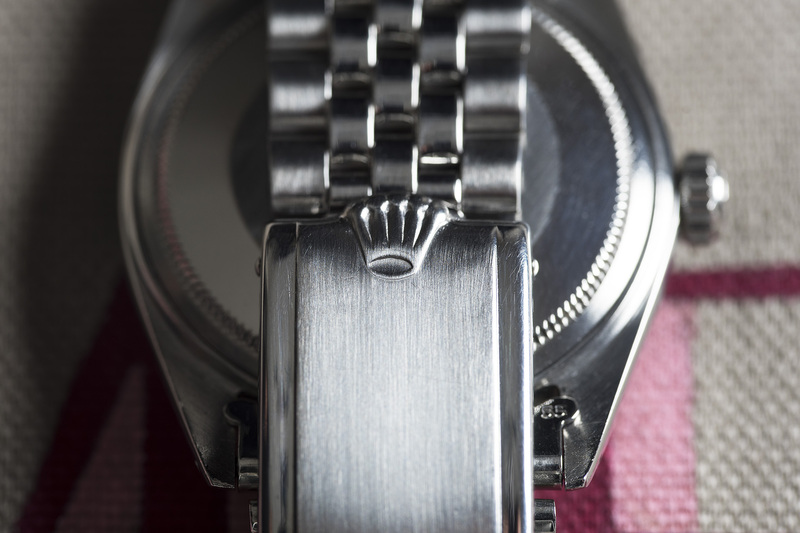 The folded bracelet itself is in a very good condition (condition 8.5/10) There’s minimal stretch compared to other bracelets from the same period, the outside of the folding clasp features a big Rolex crown logo – making this 1600 ‘No Lume’ Datejust even more cool!